This setting has an 1930-40 flavor. I like to think it is set in the 1960s, but the family still uses hand-me-down older furniture! The Strombecker radio and the buffet are made of walnut. The sofa and chair are Shackman. The TV is not, but note that Andy Griffith, one of my favorite shows, is playing! 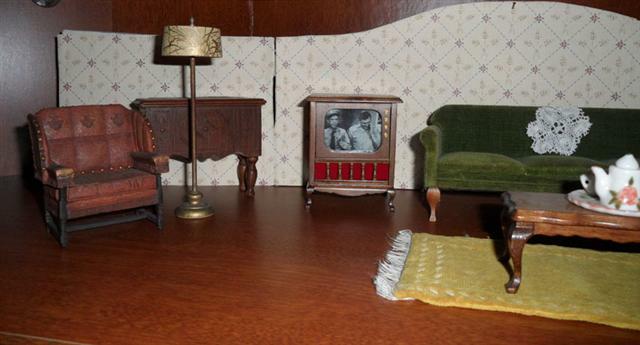 This living room setting is displayed in the top shelf of an entertainment center in my den.